Druk Nyamrup Tshogpa (DNT) had pledged that it would close the ‘Samrang meat processing project and turn it into a commercial vegetable venture,’ under its list of cultural pledges. 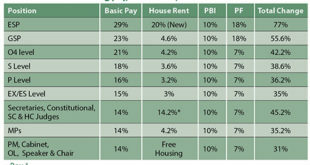 It was also listed as one of the 25 pledges in the first 120 days of the government. However, this pledge is not happening after realization within the new government that Samrang is not a slaughter house, or a meat processing plant for that matter. 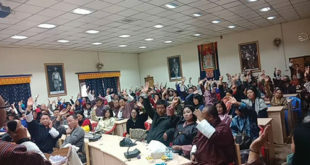 The party now says that its pledge to close the Samrang project was removed from the manifesto following the instruction from the Election Commission of Bhutan (ECB) after it submitted its manifesto to the commission. However, he said, “We are determined to start mega vegetable farm which will serve as a training ground for our farmers across the country”. 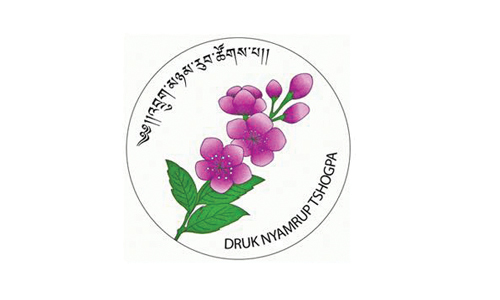 The Minister for Agriculture and Forests, Lyonpo Yeshey Penjor said, “There were lots of fake rumors on social media saying Samrang project is a slaughter house or meat processing plant but we came to know that it is not a slaughter house only after joining the ministry and studying deeply about the project”. Lyonpo said, “It is focused on aiming at self-sufficiency through dairy products and eggs and distribution of fingerlings and pullets”. 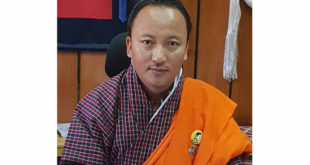 The Agriculture Minister also said, “On Samrang project, the government has invested quite heavily and the project is not implemented by the ministry but the project is managed by the State-Owned Enterprise (SOE) called Bhutan Livestock Development Corporation (BLDC)”. He pointed out that with the previous government concerns had been raised by the monastic body and they were not aware as to what kind of bilateral agreement had taken place between the previous government and the monastic body. “As a party we do not have the opportunity or accessibility to go to Samrang project and verify whether it is really a meat processing plant”, he added. 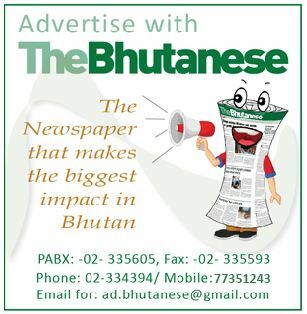 The DNT said that it will ensure that plans to establish slaughter houses in the country is discouraged and that Bhutan will not be used to process meat for export to neighboring countries. It promised to convert the existing Samrang project into a mega- vegetable farm, which would enhance employment and boost income of the people. While DNT now says that the ECB asked it to remove the Samrang pledge from its manifesto, its online version of the manifesto which was available on its website had the Samrang pledge on it. The former government in multiple interviews to the media had said that Samrang is not a meat processing plant or a slaughter house but only a center to promote dairy cows, dairy goats, eggs and fingerlings. The current Opposition Leader Dr Pema Gyamtsho had even personally visited Samrang to verify the matter and he had put up pictures and a post on his facebook account in June 2018 saying that Samrang is not a ‘mega slaughter house,’ and that it instead had dairy farms for cows and goats, fingerling ponds and a commercial poultry. The post subsequently was deleted by the Opposition Leader though he did not retract his statement. The Samrang issue is a reflection of the rise of a vegetarian movement in Bhutan with mainly religious overtones. Its mention in the DNT Manifesto was an attempt at deriving political gain from the issue. Bhutan still imports the majority of its meat and dairy products with it reaching Nu 2.8 bn in 2017 making it one of the biggest contributors to a growing trade deficit.